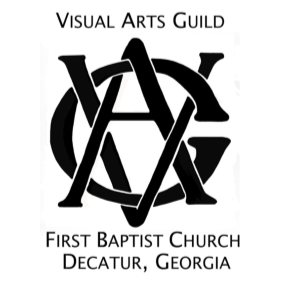 The FBCD Visual Arts Guild is a fellowship of individuals interested in expressing the love of God’s world and the stories of its people through teaching, workshops, exhibits, and special events. The Guild seeks to stimulate increased awareness and benefits of visual arts while reaching out to the church and community. The arts are a great way to: celebrate God's beautiful creation, shine the light of truth on injustice, and seek closer relationships with God. The FBCD Visual Arts Guild believes that all people are made in the image of God - the Great Creator. We believe we can use our calling to the arts to support our church and it's missions, and to build and enhance connections with our local community. All art works will be placed for display with sensitivity to the mission and values of First Baptist Church of Decatur. The 3rd Floor Gallery, established during late 2017, has already hosted several wonderful photography and art shows. This flexible space has room for both small and large shows, ranging from about 25 to 80 works. If you’re interested in learning more about the Visual Arts Guild at FBCD, please contact Kay Jowers or Jim Harrison.